Keeping on top of all the latest design trends is a minefield, and one that could be very expensive indeed. From decorating with every changing season to buying all the latest on-trend accessories, you’d be forever getting the paintbrush out and changing things around. Thankfully, however, it doesn’t need to be this hard on you or your bank balance. 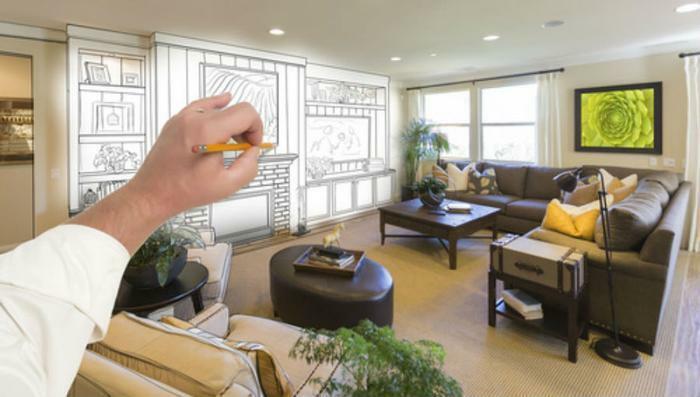 Rather, with a few savvy style tips, you could enjoy a revamped home as often as you wanted but without blowing your budget or your time off. One of the most time-consuming aspects of revamping your home is the decorating. Nothing’s more arduous than having to get out the paintbrushes, move furniture around, put masking tape around the edges and clear up the mess afterwards. That’s why design experts like John Rocha recommend having a blank canvas that you build upon. Because fashions are constantly changing, do you really want to keep painting walls every time you get bored with the colour? The same also goes for sofas, sideboards and window dressings. If you start changing these all the time, costs are really going to mount up. So try to choose timeless pieces that will complement other trends with ease. For example, wooden blinds from places like Direct Blinds are ideal for dressing a window and will constantly adapt to different colours and styles. Understandably, the idea of a neutral colour scheme doesn’t appeal to everyone. So instead of having to paint every wall when you change the room, why not have a feature wall that adapts to the varying designs you introduce? Wallpaper is great for this and having one wall covered in a vibrant pattern can really add wow factor to the space. Or paint is easy to change and paint over when you fancy. Equally, you don’t need to paint or wallpaper to create a feature wall. Instead, use art and wall hangings to bring the space to life and complement the rest of the theme you’re introducing. Now for the really fun bit – choosing accessories that will ensure your room is bang on trend. This is where you can start to play with colours, patterns and textures, creating dramatic features in various areas of your living space. Consider throws and cushions for your sofas that will highlight and complement its colour while introducing new colours, too. For example, recent trends of grey and mustard will really accentuate a neutral sofa. Then you might want to turn your attention to candles, ornaments and picture frames that highlight the space and create a refined look. Overall, there’s nothing stopping you from changing rooms in your home as and when you want to. Just plan carefully, choosing key pieces that’ll bring the look to life and swap accessories around as the trends change. You’ll probably find that one picture frame that suited your living room’s scheme will now look better in your bedroom and vice versa. Be creative and let your inner interior designer run wild (without decorating and changing every aspect of the room! ).